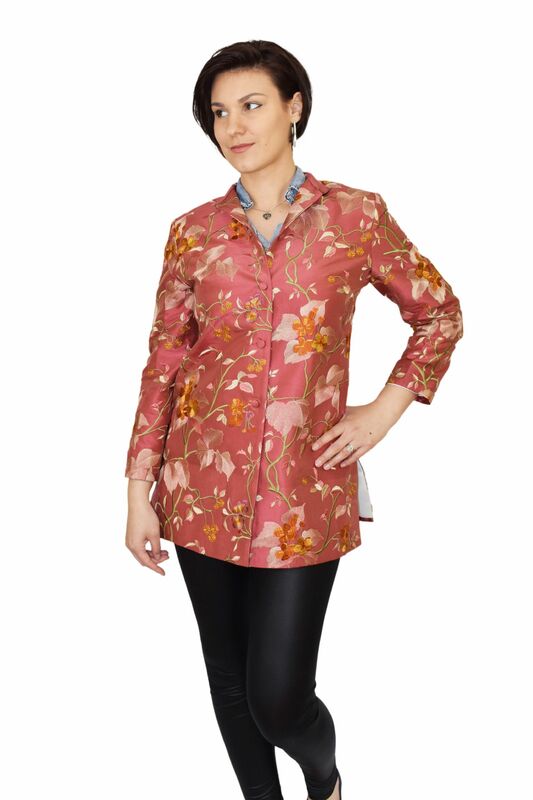 The Valencia jacket is a stunning flower embroidered jacket in coral silk. 5 coral silk covered buttons down the front. Fully lined in cream satin.